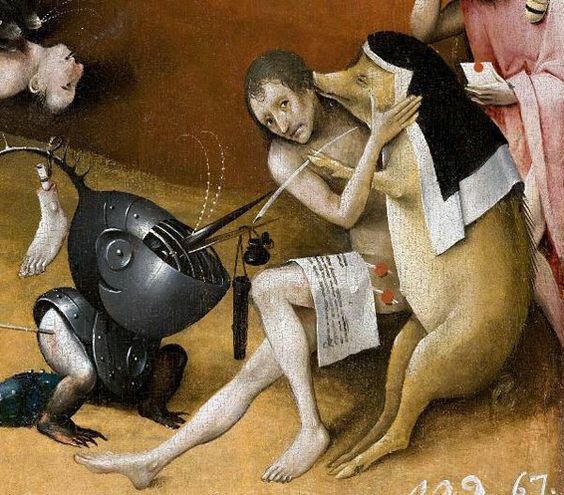 Five hundred years ago in 1516, Hieronymus Bosch – one of the world’s greatest painters – passed away, leaving behind a body of work that has beguiled, inspired and outraged his audiences. Sadly, an unknown number of his paintings were destroyed by fanatics during the wars of the reformation. Apart from records of his marriage into a family of pharmacists and his painterly heritage, the true character of the man behind the great artist remains a mystery. So thank goodness for historical fiction, which breathes life into the past and raises beloved icons from the dead. 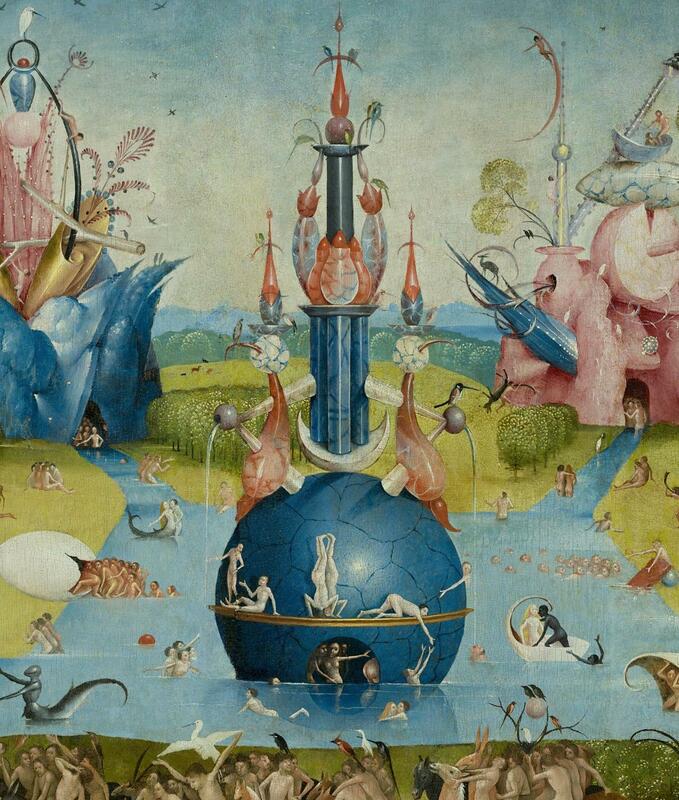 In ‘The Infidel’s Garden,’ Hieronymus Bosch is a quirky character – blunt, socially awkward and obsessed with his work. As a homage to pot-stirrers, rebels and anti-authoritarians past and present, I’ve also depicted him as a subversive who, through his controversial masterpiece: ‘The Garden of Earthly Delights’; foreshadowed the downfall of a Christian Church wallowing in corruption. Oink. The nun’s robe of piety fails to disguise the pig of ecclesiastical greed. 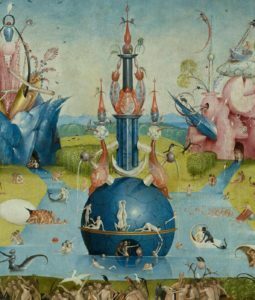 We all bring our own perspectives to the interpretation of works of art and behind Bosch’s work I glimpse a man who understood the transformative power of aesthetic and ideological diversity. So I’ve attributed some of the more exotic imagery in his work to influences from Islam and the protagonist of ‘The Infidel’s Garden’ – his exotic Muslim model Marjit. These days, with the rise of fundamentalism; which has skewed many people’s attitudes to religion, we’re not giving Islam enough credit for the extraordinary influence it has had on art, science and the progress of human civilisation. Minarets, arabesques and even a sickle moon. 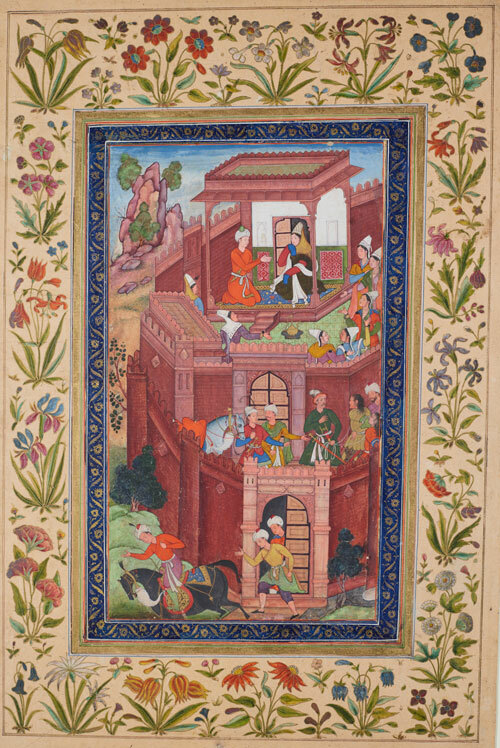 Bosch’s detailed depictions of nature bring to mind Persian miniatures. 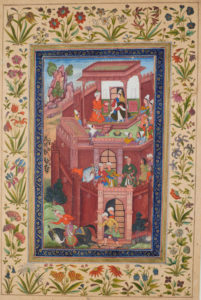 Persian miniatures show the same attention to detail and love of nature. To honour this genius on the quincentenary of his death, The New York Review of Books has published this wonderful article on his work and life.